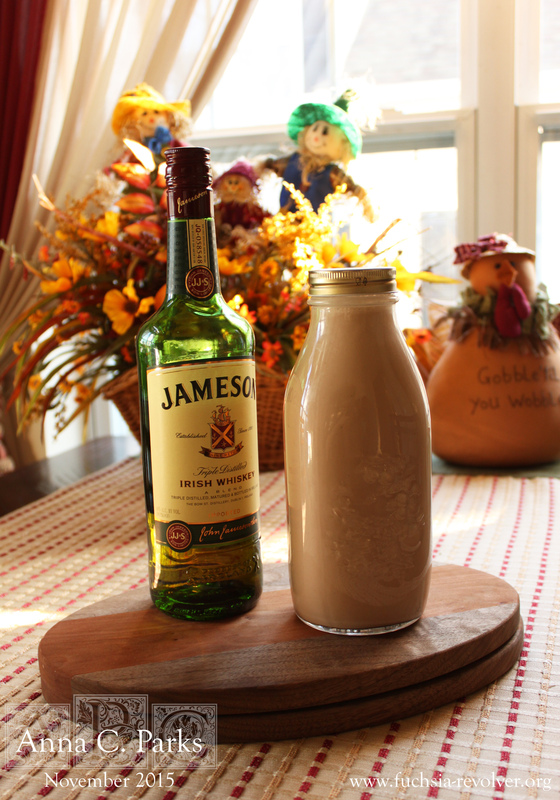 I guess Irish Cream is considered a cordial… or a liqueur. Serious Eats suggests that the terms are interchangeable, with cordial appearing more often on dessert-like products: liqueurs flavored with coffee, cream, chocolate, etc. 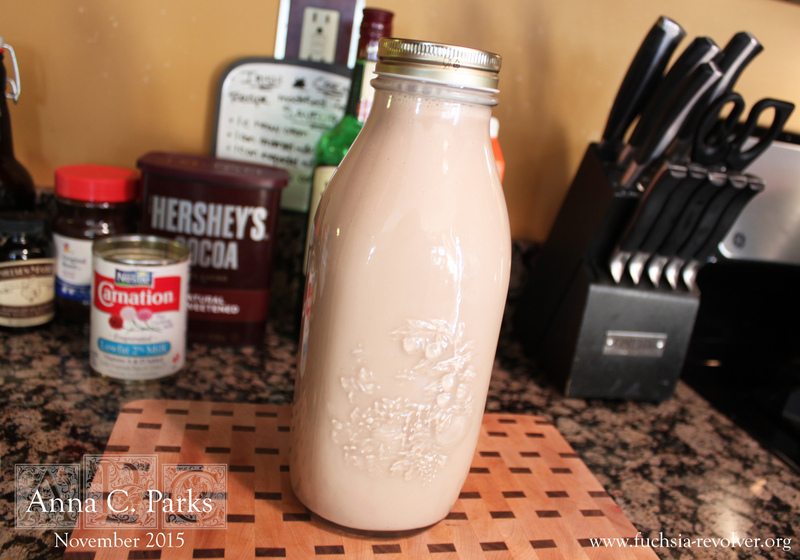 I followed the recipe for the basic ingredients, but I added extra of everything as well as evaporated milk (not in the original recipe) so I could fill the 1 L bottle that I bought from Target. I found the bottle tucked among traditional Ball and European-style canning jars in the store. It is a juice canning bottle with a one-piece lid from Quattro Stagioni. Aside: I briefly contemplated using a pressure canner to see if I could preserve it for longer, but quickly decided against it. In case you considered the same — how to make this last longer or shelf-stable like a Bailey’s — know that the USDA considers canning dairy products to be a big no-go. Simply Canning and Carolina Canning has some good information about why canning dairy is not safe. Frankly this won’t last long, anyway, for the sheer reason of being so delicious. It is a thick beverage with the consistency of melted ice cream; a dessert in and of itself. It tastes like a thicker, concentrated White Russian. My family said that it was maybe too thick, so we ended up adding a little milk to each glass to thin it out. Makes 1 liter. Recipe adapted from Saveur Magazine. Don’t have cocoa powder and instant coffee? 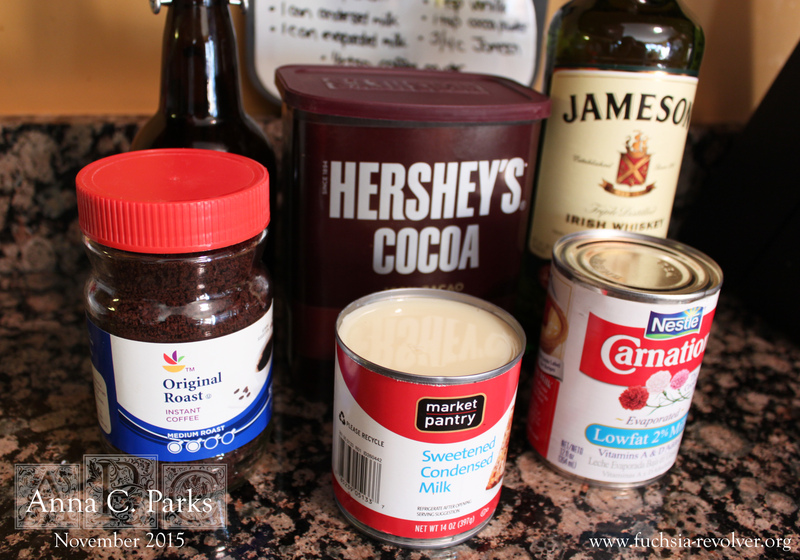 Substitute 1 tbsp of a good quality chocolate syrup for the cocoa and 1 tbsp fresh brewed coffee for the instant. Combine coffee, cocoa, and vanilla in a 4 cup glass measuring cup. 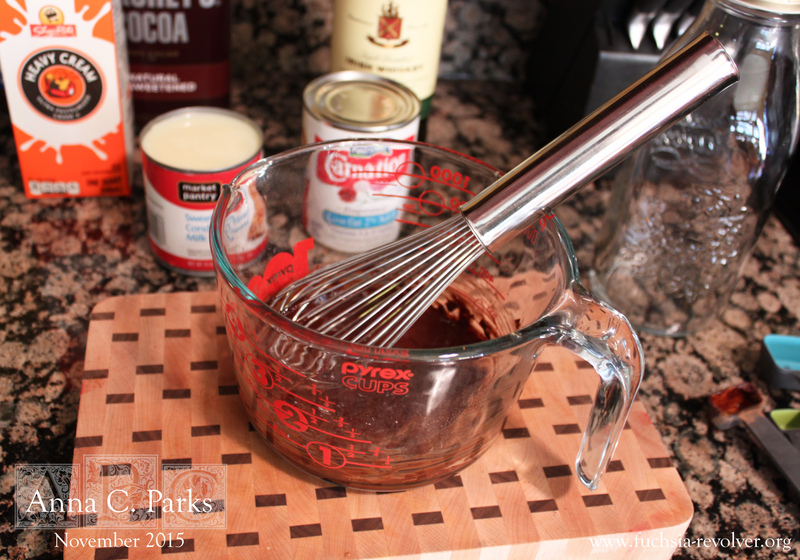 Whisk until a smooth paste forms. 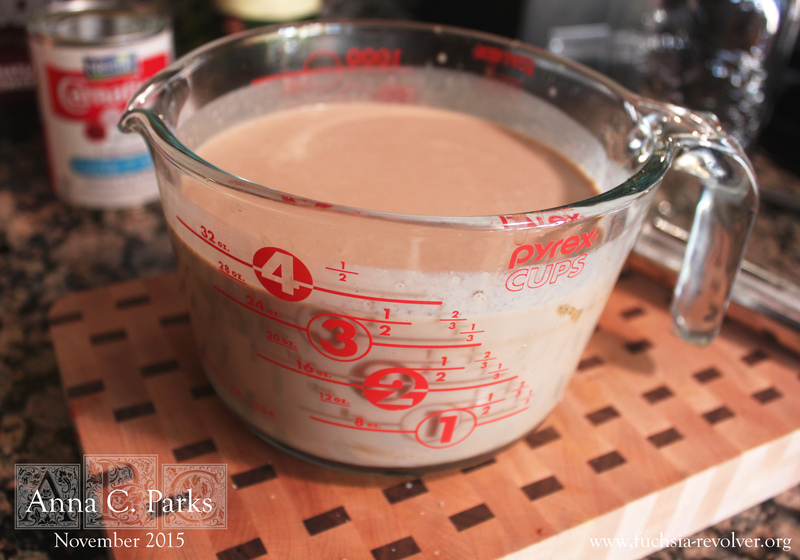 Whisk in sweetened condensed milk, then add heavy cream and evaporated milk. Add Jameson and stir to combine. 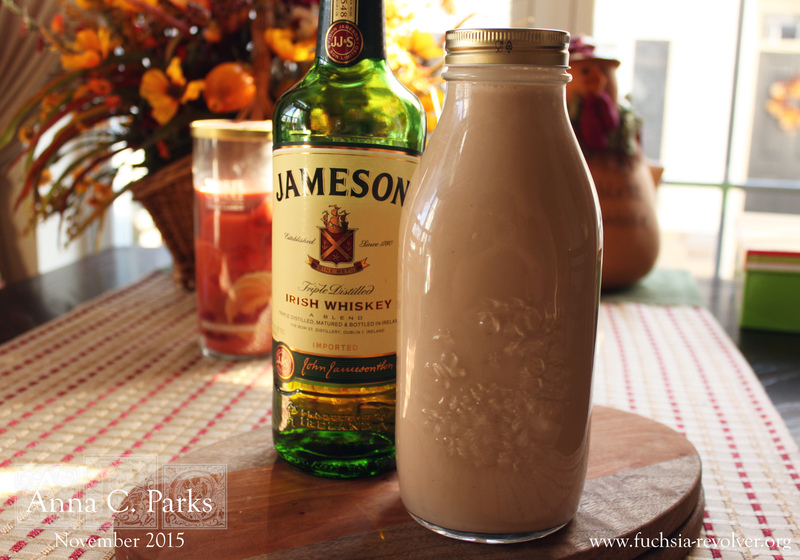 Transfer to a glass bottle and store in the refrigerator. Saveur suggests that it will keep at least 2 weeks. Serve in cordial glasses over ice or stir into hot coffee.